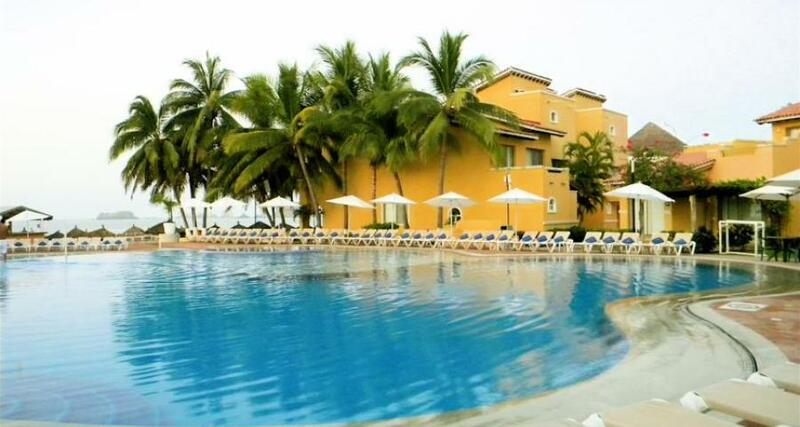 Tesoro Ixtapa is a 4* family friendly beachfront hotel located in Ixtapa, Mexico. It features 170 rooms and swimming pools. All inclusive meal plans are available! Tesoro Ixtapa is located on one of the beautiful beaches found in the state of Guerrero, making it the perfect setting for those seeking an unforgettable family vacation with sun and sand. Tesoro Ixtapa offers comfortable rooms, a large swimming pool, water sports, personalized services and a fantastic All Inclusive program that includes quality food and beverages. Enjoy a dream vacation at the beautiful destination of Ixtapa Zihuatanejo when you choose this hotel. If paying upon arrival at the hotel, the hotel will need to verify a credit card for the amount of the first two nights of the stay. If it is declined, you will have 24 hours to produce another credit card or the reservation will be cancelled.